Doug Wyllie is Editor in Chief of PoliceOne, responsible for setting the editorial direction of the website and managing the planned editorial features by our roster of expert writers. An award-winning columnist — he is the 2014 Western Publishing Association "Maggie Award" winner in the category of Best Regularly Featured Digital Edition Column — Doug has authored more than 800 feature articles and tactical tips on a wide range of topics and trends that affect the law enforcement community. Doug is a member of International Law Enforcement Educators and Trainers Association (ILEETA), an Associate Member of the California Peace Officers' Association (CPOA), and a member of the Public Safety Writers Association (PSWA). Even in his "spare" time, he is active in his support for the law enforcement community, contributing his time and talents toward police-related charitable events as well as participating in force-on-force training, search-and-rescue training, and other scenario-based training designed to prepare cops for the fight they face every day on the street. Open carry...what are your thoughts? OPEN CARRY - WHAT’S YOUR TAKE? A few years ago, Mark Walters hosted a three-way debate on the topic on his show “Armed American Radio.” The “pro” speaker came, IIRC, from Georgia Carry. The “anti-open carry” speaker was a cop from the Midwest who, though generally pro-armed citizen, thought open carry was counterproductive to both the public peace and the Second Amendment cause. I took the middle ground, which I still hold. One the one hand, I would like for every state to allow any citizen who has a clean record and hasn’t been adjudicated mentally incompetent to be allowed to open carry a holstered, loaded handgun. First, because there are some jurisdictions where if the wind blows your coat open and reveals the gun you are legally carrying concealed, a genuinely frightened citizen or vindictive anti-gunner can combine with an anti-gun prosecutor to create a perfect storm of criminal charges for illegal open carry. Second, because if a good person suddenly becomes a stalking victim or the target of death threats, I don’t want them to have to wait up to 90 days (gun-friendly Florida) or six months (the time it takes before a new resident can even apply for a concealed carry permit in California, which for the most part is decidedly non-gun-friendly). But on the other hand, I don’t think we win any friends for gun owners’ civil rights by flaunting deadly weapons in the face of a general public conditioned to fear guns and their owners by generations of anti-gun media and political prejudice. I do open carry a few times a year in public, just to gauge typical response, and have done so in jurisdictions from New Hampshire and Connecticut to Washington State. Most folks don’t even notice. 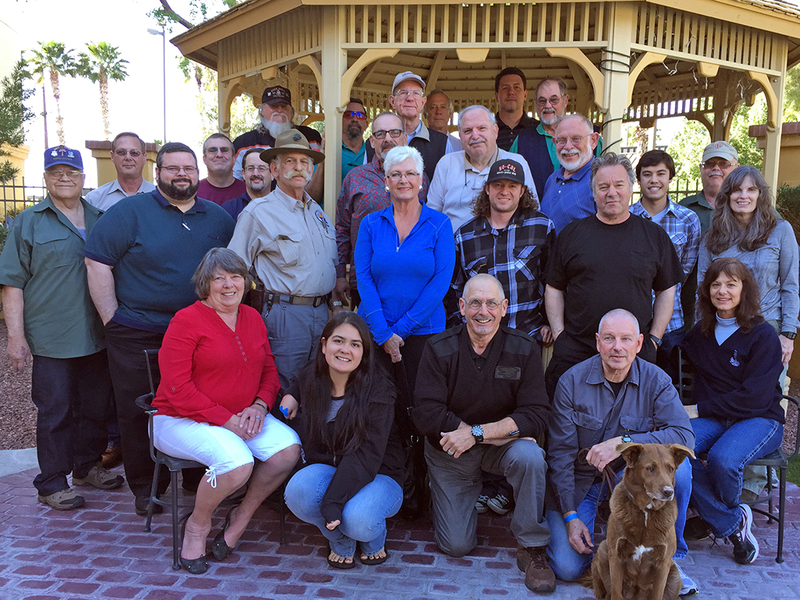 I just got back from a class in Tucson, hosted by Dan Southard and his Gator Farm Tactical training group. There is no more open-carry-friendly state than Arizona, though Tucson is pretty much “blue yuppie central” on firearms issues. At the airport hotel, about a fifth of the students open carried, while a majority of the rest were packing concealed. There were no incidents or complaints. Interestingly, if you look at the class photo below, you’ll be hard put to spot even the openly carried handguns, including the Glock on my own hip. Yes, open carry can be discreetly performed. Now, contrast that with this YouTube video, taken by a true attention whore and cop-baiter. Ask yourself just how much of an ambassador this guy, trolling a school while wearing an openly carried handgun AND a slung long gun, is for the cause of responsible armed citizens. Note that at the end, he and his flaunted guns walk right up to the door of the school, doing a remarkable imitation of Adam Lanza approaching Sandy Hook Elementary School. Note that it was the Bloomberg anti-gun-owner forces who made it go viral. 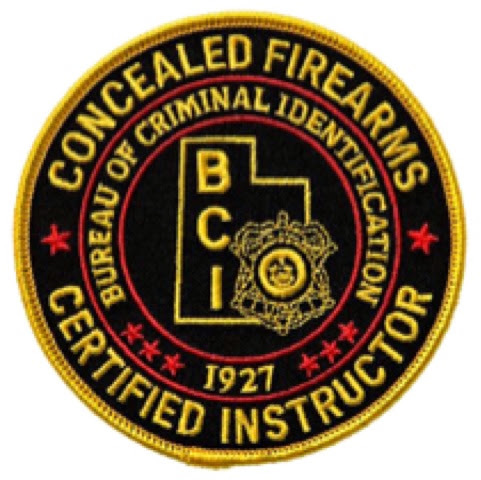 Are you new to concealed carry??? 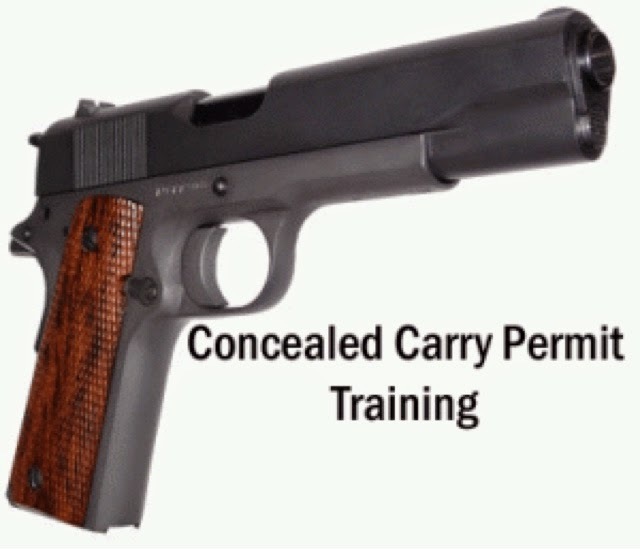 So, lately I’ve been thinking quite a bit about conceal carry and how there are many people out there getting their permits and carrying for the first time. I thought I’d jot down some ideas that may be of help to the newbie. 1) Have total confidence in your pistol. Whatever pistol you have chosen for your carry piece you should be certain it will fire when needed. This means practice and more practice. I know some firearms require a break in period which, usually, means putting around 500 rounds through the gun before drawing any conclusions about reliability. Whether or not people adhere to this principle is anyone’s guess. Understand, though, that if you have made the decision to carry a gun it is your responsibility to know its reliability. This, obviously, means shooting not only range ammo, but, and most importantly, shooting your carry ammo. I discovered – much to my chagrin – my Kimber can be finicky with hollow points. Turns out this is not all that unusual for a 1911, given the feed ramp is a bit steep. Needless to say, as unhappy as I was to discover this, at least I did at the range, and not when my life may have depended upon that pistols suspect reliability. Doing research on your pistol ahead of time is also wise. Some brands have terrific reputations, others, not so much. Just know, there are always lemons out there. 2) Maintain a calm demeanor while armed. Carrying a firearm is a huge responsibility. It is in no way a license to act in a confrontational manner or, really, in anyway that would deviate from normal and acceptable behavior. If anything, knowing I am armed means I will go out of my way not to have a confrontation with someone. No more flipping off other drivers because they cut me off – okay, I didn’t do much of this before I began carrying – I’m just using this as an example of a pretty boneheaded decision made emotionally, and not logically. Having the ability to deescalate a situation will go a long way. Drawing a gun is a last resort. I’ve had people ask me if drawing a pistol wouldn’t just escalate the situation. Understand, if a pistol is brought into action, the situation has escalated to the point that person fears for their life. And will likely need to prove this in a court of law. Also remember, you are not the only one walking around armed. I firmly believe an armed society is a polite society. 3) Own a quality holster and belt. With so many options available, there is really no reason not to have a comfortable set up. And, if you find your gun is not comfortable to carry, you likely will not carry it. I’ve had good luck with finding a belt – some research online will yield a plethora of results. Holsters seem to be a different animal altogether. Finding the correct holster may take time. Most gun owners have a half dozen or so holsters kicking around as a result. Many factors go into a holster selection – inside (IWD) or outside (OWD) the waistband being the most obvious. 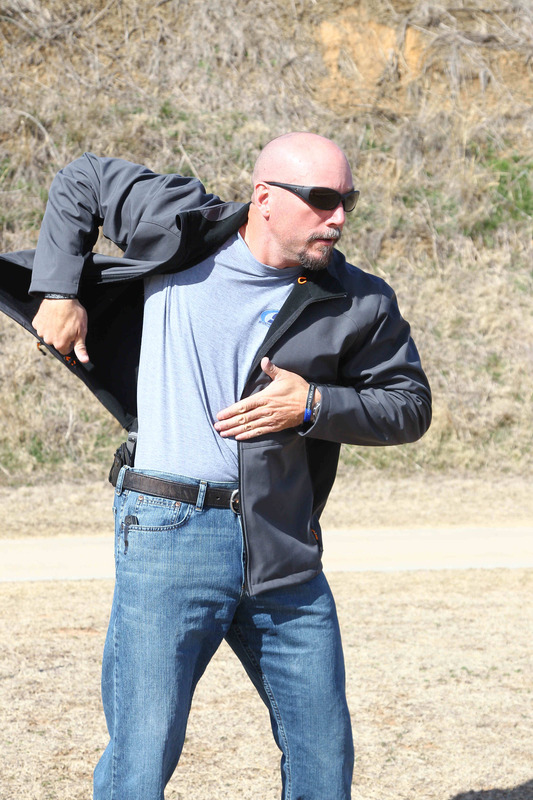 Placement on the body, a snap release, material, deep concealment, etc. These are all decisions to be made. A lot of times through trial and error. A terrific option for IWD is a hybrid holster. These have become very popular and for good reason. Half the holster is leather (or another material such as neoprene) – the side of the holster contacting the body, and the other half is kydex. The leather or neoprene backing means comfort, and the kydex makes for nice retention while allowing for a quick draw. Speaking of draw – I guess I’ll say this is point 3a – practice your draw. This should be common sense but I am always surprised to hear people say they don’t do this. Muscle memory is your friend. Draw, and draw some more, until it becomes second nature. Practice in different attire as well. Seasons and weather impact how many layers you are wearing, which will impact how quickly you can access your gun. Also, drawing your pistol allows you to practice trigger discipline. When I began handling a pistol for the first time I was a bit alarmed to see my trigger finger automatically go to the trigger when I picked up the gun. Maybe this was left over muscle memory from playing with toy guns. Maybe it happened because that is what the index finger is supposed to do. Who knows? But, I was sufficiently concerned to make sure to practice picking up/drawing the gun until not touching the trigger became a habit. Now when I reach for a pistol my trigger finger is extended. It’s instinctive. This practice cannot be overstated. You must know how to safely handle your pistol. 4) Carry with a round in the chamber. Or, don’t carry with a round in the chamber. When I first began carrying I did not chamber a round. I was not yet comfortable enough to do so. Once I realized my gun was safe and secure in it’s holster – it is not going to fire unless the trigger is pulled – and I realized I am competent enough to handle it in that condition – I chambered a round. Prior to doing so I – no doubt – had thoughts that if needed, I would have time to rack the slide. I’ve since concluded that that statement is ridiculous. In certain situations I might. But, we should be prepared for the unexpected. In a case of a mugging or something similar, it is not practical to think I’ll be able to stave off the attack long enough to chamber the round. No amount of small talk, or even clever jokes, is going to buy me the time needed to do so. Things happen fast. But, only carry with a round in the chamber if you are confident you can do so. You may need to work your way up to it. That is okay. 5) Do not talk about your pistol and the fact you are carrying. First of all being armed does not mean you are some kind of hero. People are not going to be impressed by the fact you walk around with a pistol, and, quite probably, many will think you are paranoid and irrational. I could go on and on about this point – and this would probably make a good topic for another article. The fact is it is nobody’s business that I have a gun on me. Concealed means concealed (in all areas that it is legally permissible). So there you have a few thoughts and ideas for carry. I want to see as many responsible people armed as possible. I firmly believe each person is responsible for their own safety. Social predators exist. They count on their victims being defenseless. Don’t be one of them. In the ongoing debate over concealed carry one point that’s not often explicitly discussed is to the extent which the gun community is law-abiding. That is to say, when compared to the general population do concealed carry permit holders commit more crimes? To put it another way, are gun owners really all that law-abiding? Of the 51,078 permits that have been issued by the state since the law took effect in 2007, 44 permit holders have been charged with a crime while using a firearm through late October, according to records provided by the Kansas Attorney General’s Office. That works out to one charge for every 1,161 permit holders, or 0.09 percent. The numbers squeeze even tighter when you consider that of the 44 permit holders charged, 17 licenses have been revoked because they were convicted of a crime that disqualifies them from having a permit. The violent crime rate in Kansas in 2011 was one for every 198 people at least 21 years old, or 0.5 percent, according to the Kansas Bureau of Investigation. It should be noted, and as The Wichita Eagle pointed out, there are limitations to looking at the numbers in such a simplified manner, but even so, it appears that concealed carry permit are overwhelmingly law-abiding folk when compared to non-permit holders. Still, gun rights advocates want to remind the public that although statistically speaking concealed carriers are less likely to commit crimes than the average Joe, it doesn’t mean that all CCW holders are model citizens. Yet, it would be wrong to pass legislation that’s designed to curtail gun rights due a few bad apples within the gun community, Stoneking explained. In the past, Guns.com has investigated crime levels amongst CCW permit holders in two other states, Minnesota and North Carolina. The findings in each case were similar in that when compared to the general public, CCW permit holders committed fewer crimes on average. To give one an idea, the Vice President of the Minnesota Gun Owners Civil Rights Alliance, Andrew Rothman, told the Star Tribune that permit holders commit “much less than their share of crime,” citing as an example that though “one in seven Minnesotans has a DWI on their record, only one in 545 of the state’s permit holders got one after getting a permit” (to read more on this, click here). So, given all this evidence that shows CCW permit holders are, by and large, responsible and law-abiding, one must iterate the obvious question, why are people still so vehemently opposed to concealed carry? Active shooter incidents, while small in number, continue to make headlines worldwide. Many people say each incident is a lesson for law enforcement response. I agree, the law enforcement community gets smarter with each incident. Anyone doubting this need only look at today’s response as compared to an incident such as Columbine. I believe the civilian community must also learn from each of the past stories which have made headlines across the globe. From incidents like Columbine, Virginia Tech, Ft. Hood, Beslan, Mumbai, and many others, we must learn. Learn what you ask? How about indicators, patterns, awareness, avoidance and response. Law enforcement has an obligation to plan, equip, and train officers to counter the active shooter. The active shooter requires an immediate defense of life, immediate action. Neither law enforcement nor the civilian can wait the arrival of SWAT teams. Law enforcement is often minutes away which is why I say civilians have an obligation to themselves and their families to be prepared to counter the active shooter. When the Police show up at a shooting where you are the “Good Samaritan”, how are you going to not become a victim yourself? This of course is not without risk. The civilian responder is exposed to even greater risk than law enforcement. The civilian is at risk from the active shooter but by the very nature of who they are and their inherent lack of identity, they are exposed to first responders, private security and even other less trained civilians trying to respond as well. Without the benefit of a uniform or police placard or badge the civilian responder looks very much like the active shooter. Think about the first responder as they are driving to the shooting. The only info they may have is “man with a gun shooting people.” They get on scene, adrenalin pumping to levels never before experienced. They hear the shots and screams, they move in and see you running with a gun. Will you get challenged or will you get shot? If you get challenged, will you have the wherewithal to not point your gun in their direction as you respond to their challenge? If you do point the gun…you will more than likely be shot without hesitation. Let’s examine the active shooter challenges that face us all. The primary LE training aspect of rapid response/rapid deployment centers on first arriving patrol officers forming a “contact team” and moving aggressively against the active shooter. The offender must be located, identified, and defeated. Victims must be rescued and removed for medical assistance with all possible speed. To accomplish these goals, officers must receive realistic training and have immediate access to a firearm capable of delivering accurate fire at distances that represent the length of a hallway or gymnasium, which can be in excess of 75 yards. First responders may not know who you are. How will you let them know before you get shot? The equipment and training considerations mentioned above have led to much debate in the LE community. Given the obvious limitations of hand gun calibers and the typical distances one encounters an active shooter, this debate is both predictable and understandable. The civilian community is also faced with these considerations and of course is even more handicapped in their response. After all, how many of you go shopping or to the movies with your AR slung across your chest? In fact, how many of you concealed weapon carriers even carry an extra magazine or extra revolver ammo when you leave the house? Now, to gain some insight into the events themselves let’s look at the results of the work done by a few researchers who compiled some helpful info for us all. John Nicolette, PhD, conducted a study of 35 active shooter incidents during 2012 and discussed the results of his study during a lecture entitled “Detection and Disruption of Insider/Outsider Perpetrated Violence. The average active shooter incident lasts 12 minutes, while 37 percent last less than five minutes. 49 percent of attackers committed suicide, 34 percent were arrested, and 17 percent were killed. 51 percent of the attacks studied occurred in the workplace, while 17 percent occurred in a school, 17 percent occurred in a public place, and six percent occurred in a religious establishment. So where does this leave the concealed carry civilian responder? Before we get too far here allow me to briefly bring up the recent Las Vegas incident that started me thinking about the need for this article. Think about what you’re willing to risk to intervene. I’ll be brief. Essentially the husband and wife duo that ambushed and killed two Las Vegas police officers immediately after the shooting ran into a local Wal-Mart. The husband fired a shot in the air, “told the shoppers to leave the store, the police are coming, this is a revolution.” A shopper who was a concealed carry civilian decided to respond. Note: I am not aware of this Good Samaritan’s training or abilities. Please do not consider anything I say here as a criticism of his intentions or his actions. I am just trying to address the situation accurately and in a manner that might benefit us all. The concealed carry civilian decided to confront the husband unaware of what had transpired only minutes earlier or that the woman pushing the shopping cart behind him was actually a co-conspirator or (Lay-Off Person) positioned strategically for just this type of intervention. The Good Samaritan did not have a chance. When he made his move she made hers and shot him before he could do any good. This is the reality of such a dynamic, ever evolving, high stress situation. Whenever anyone enters such an environment with limited intel, the risks are extreme. So, how about us? What have we learned from this article to this point? We know we don’t have much time. People involved need help now and LE response is at least minutes away. The CCW holder is there now but the ability to effectively respond is an uphill battle for many reasons not limited to training, ability, intel, equipment, and even good guy/bad guy identification. I keep coming back to one of the fundamental elements I have been preaching for years. Awareness! In this case I mean awareness of the situation, your environment, your abilities, your training, and your tactical options, the overall risks your actions will bring to you, first responders, and other innocent participants. With proper awareness you will at least be able to make some initial decisions. I say initial because these situations are so dynamic and ever changing that modifying your plan may very well be a given once initiated. So you have made your decision. I don’t have the answer here. Circumstances may provide you the opportunity to take that ultimate step and inflict the greatest amount of trauma possible in the shortest amount of time, thus ending the crisis. It may take all you have to just evacuate your family and loved ones through the chaos and panic around you. You may have the opportunity to be a good witness and help direct the first responders to the bad guy or you may be afforded the opportunity to pin down or limit the mobility of the shooter. I don’t have the definitive answer and you don’t either as you read this. One thing for sure is the more you know ahead of time about these situations in general, the more you know about yourself and your ability to implement strategy and tactics, and the more you know about how your actions may be interpreted by others around you will give you the best chance for success. The one thing we know for sure is these situations are stressful, dynamic and evolve at an unbelievable pace. Stay Aware, Be Vigilant, and Be Safe. MYTH 1. You can’t shoot accurately with a (fill in the blank) pistol. Normally, I hear this argument about subcompacts, pistols/revolvers with long heavy triggers, or pistols that have a long double action for the first round and a single action thereafter. The fact is that all of these make firing fast and accurate groups more difficult, but it shouldn’t be an excuse for poor performance. If you have a sub-compact pistol or revolver that shoots large groups, I challenge you to put it in a gun vice, shoot a few rounds with it at 10-15 feet, and see just how precise and accurate it really is. 9 times out of 10, when someone gives me a gun and tells me that it’s all over the place, I can put the next 5 rounds into a 1″ group. Am I a good shot? Yes. But I’m incredibly average as far as physical ability and natural vision go. I’ve just put the time in to be able to consistently grip with 3 of my fingers, keep my thumb relaxed, and patiently focus on the front sight while I slowly press my index finger straight back. The great news about that is that you can practice 90% of what you need to be able to shoot precisely in your living room or basement, doing dry fire, without using any ammo. And once you can do it with a subcompact or a gun with a “difficult” trigger, you can perform with ANY pistol or revolver. MYTH 2. It’s better to practice spreading your shots rather than shooting 1 hole groups. The logic here is that, as you’re practicing on paper targets, you should TRY to spread out your shots so that you’ll do more damage to more organs and hopefully stop your attacker faster. First: Keep in mind that shooting a 1 hole group is a litmus test. The faster you can do it, the more solid your mechanical, vision, and mental skills are for shooting. The slower you have to go, or if you can’t do it at all, indicates that you have some low hanging fruit for improvement. Check out 1holechallenge.com for more info on this. Third: Let’s look at the “TRYING to spread out your shots increases damage” myth. Theoretically, I agree with this with a carbine or rifle. A pistol is not a carbine or rifle. A pistol is a relatively pathetic tool for stopping lethal threats in a timely manner and it normally takes multiple well placed shots to stop the threat from a determined attacker who is at close range. (Determined attacker=one who doesn’t turn and run at the sight of a muzzle blast, regardless of what it does.) If you take exception to my comment about pistol ammo being pathetic, check your state’s hunting laws and see what caliber they consider to be the minimum humane caliber to use on deer. In most states, you’ll find that the guns that most people carry on a daily basis aren’t legal for hunting. 2 things…First off, shooting a one hole group at a static paper target standing flat footed doesn’t necessarily translate to shooting a 1 hole group on a dynamic attacker when you’re moving. 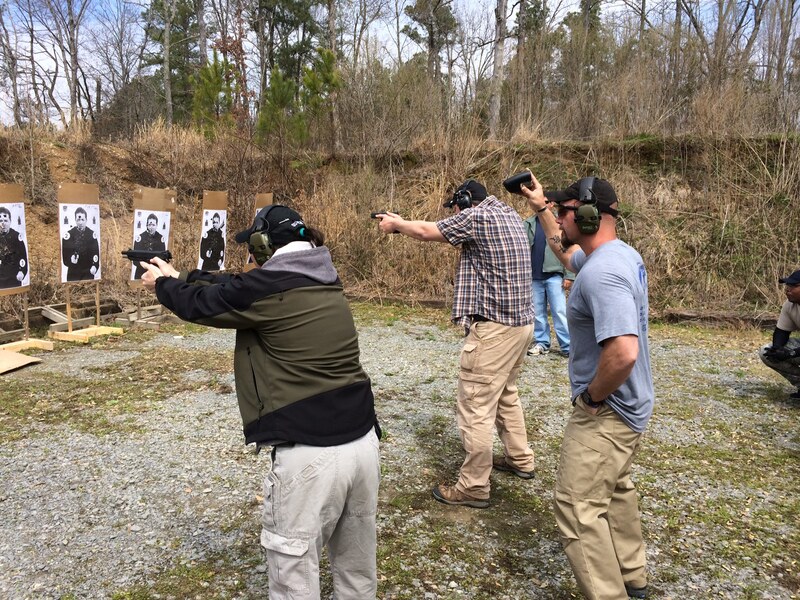 If you train to shoot 1 hole groups…or at least tight groups, you’ll get the 2-5″ groups that you’re looking for in combat when you add in speed, stress, and motion. If you insist on shooting a standard of 5-8″ groups in practice (without being able to shoot 1 hole groups), stats and hundreds of police after action reports per year show that you’ll probably miss your target with 8-9 of 10 shots fired. Second, keep in mind that even the best defensive ammo is weak and underpowered compared to carbine and rifle ammunition and piling round after round on top of each other is a wonderful thing…if you have a specific purpose and target in mind. If you’re piling round after round through the lower right quadrant of the belly, you’re wasting time and ammo. But if you’re viewing your attacker 3 dimensionally, as you should be, and aiming through the body for the T3-T4 vertebrae, then let’s say, for arguments sake, that the first round uses up a lot of it’s energy punching through clothing and the sternum or other bone. The 2nd shot could go 2″ away from it and spend a lot of it’s energy punching through barriers again, OR it could go right through the first hole and have significantly more energy to disrupt the circulatory system or possibly even get a CNS stoppage by hitting the spine. Will it really happen? Probably not. The first example is more realistic than this one–the chance of you and your attacker being in the exact same spot and orientation from 1 shot to the next is next to zero…which is all the more reason to TRY to pile your rounds on top of each other rather than adding a variable to the equation. MYTH 3. All fine motor skills will fail under extreme stress. I love this argument, mainly because I’ve been passionate on both sides of it. I used to be passionate that all fine motor skills failed under extreme stress…until I had enough people who’d been in combat multiple times tell me I was wrong. Fine motor skills don’t fail under stress, PEOPLE fail under stress and people can train and inoculate themselves to stress to the point where they can respond calmly and precisely in situations where others default to gross motor skills or freeze. This is kind of tricky and fuzzy, but suffice it to say that there’s a gauntlet that you have to go through before you respond calmly in situations where others get over-amped up or freeze and you won’t know that you’ve made it through until you’ve been tested and had one or more successful outcomes…be it simulated (realistically) or real. What you’ll find is that the more you’ve practiced a given fine or complex motor skill, the longer you’ll be able to perform it at higher pulse rates and higher adrenaline (among other brain chemical/hormone) levels. In other words, it’s more accurate to say that fine motor skills will fail when you have an extreme reaction to an extreme stress event. Here’s an example: If you’ve had someone with intent point a gun at you at close range 20 times (what I’d call an extreme stress event) and walked away the winner every time, you’re going to be much calmer the 21st time than someone else will be if it’s their first time. MYTH 4. You fall down and stop fighting or die when you get shot. At the beginning of the Global War On Terror, people were getting shot with non immediate life threatening wounds, not realizing they were shot (and still fighting) and then, when they saw that they were shot, falling on the ground screaming like what they’d seen people do on TV and sometimes even dying. It’s what we see on TV & movies. When you play paintball and get hit, you raise your gun and yell “I’m hit” or “I’m out” and stop fighting. Same with airsoft. Same with MOST wax bullet and simunition training. It’s not reality. There’s a 90%+ chance that you’ll survive a single gunshot wound…and that’s without body armor. SO KEEP FIGHTING IF YOU GET HIT and finish the fight! Please welcome Mike Ox as a contributor to TheDC. 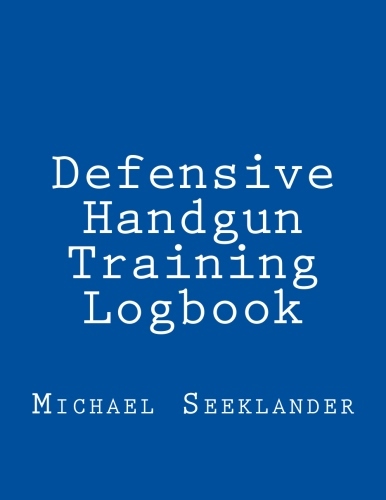 I’ve valued Ox’s advice on firearms training, self-defense, and brain, body and system hacking for many years and can personally recommend his DryFireTrainingCards.com. Take a moment to check this link out http://www.dryfiretrainingcards.com/. ~Mike P. Daily Caller Guns & Gear Editor. SPRINGFIELD, Ill. (AP) _ Firearm proponents are hopeful Illinois Gov. Bruce Rauner will expand the state’s concealed carry law to cover places such as hospitals, churches and bars. Gun owners from across the state flooded the Illinois Capitol on Wednesday for an annual rally. Many spoke with lawmakers from their home districts about legislation to expand gun rights. Gun control activists say firearm groups want the state’s gun laws watered down. They believe Illinois could follow other states that don’t require permits or background checks to carry handguns. The Republican governor declined to comment specifically on pending concealed carry legislation. Rauner spokeswoman Catherine Kelly said he “will carefully evaluate all proposals” for changes to gun laws. Illinois is the last state to have passed a concealed carry law. Whether you use a notepad, electronic means, or maybe a pre-designed logbook(I designed one for each of my programs), make sure you are keeping track of your practice sessions. I like my pre-formatted books because they make it faster and easier to gather the data I like to follow up on. You are probably reading this post because you are a new shooter and have some goals you are trying to meet. There is no better way to help yourself meet those goals than to begin to log your training sessions, what you are learning in them, and the factors that you need to continue to focus on to help yourself improve. Believe me, I know it takes work, but a “systematic” approach to training beats a random one every time. Illinois Conceal Carry Law Update...!! !